The official Team Fortress 2 blog has revealed plans for a new scoring system for servers that should help make sure that players can find the best and most stable games quickly. Talking on the official TF2 blog Valve's Robin Walker detailed the new system and said that it would run based on how long players stayed on a server for, with continued connections winning higher rankings for good servers. 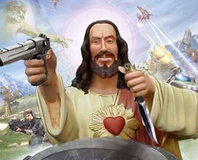 Valve's theory is that players who join a stable server with a good host will stay there, while those who end up with obnoxious players or poor connections will quickly look elsewhere. The new system will monitor how long players spend on every server and use that information to rank all matches. Valve says that, unlike current systems, it's driven entirely by client data that's monitored at the back-end, which means that servers can't manipulate the information to get higher ranks. The intricacies of the system are further explained on the blog, with each new server having an initial score of zero and taking a -15 point score whenever a player joins. For every minute a player hangs around the server gains a point, up to a maximum of 45 points per player - which should help weed out those who want to artificially inflate their scores. To help keep things simple for those who don't want to play with strangers the system won't score password protected servers either, leaving those hosts to manage them themselves. Do you often have trouble finding servers online? Let us know in the forums. 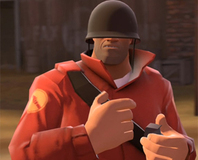 Valve has announced a plan to punish cheaters in Team Fortress 2 - and reward honest players. 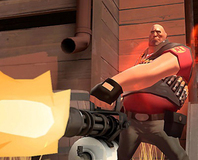 Valve will be adding an entirely new gameplay mode to Team Fortress 2 in the next update. And a lot of hats too.